70 year old male patient presented to clinic for a referral from a corneal specialist after ruling out cataracts as main cause of decreased visual acuity. The patient is a commercial pilot and wasn’t meeting the FAA guidelines for BCVA. He has no complaints of dryness, eye pain or fluctuating vision. 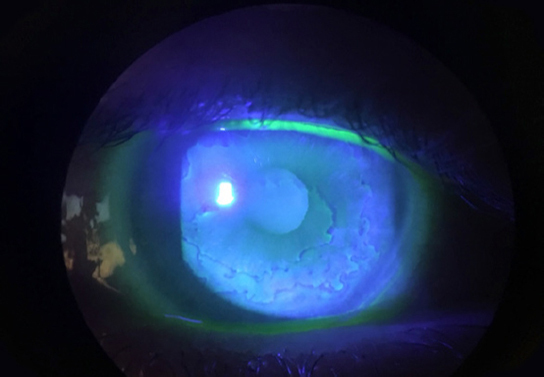 The patient had previously tried corneal gas permeable lenses, which seemed to have improved the vision, but the instability of vision, watering eyes, and potential for ejection led him to be uncomfortable with that option. His goals were strict: he needed to be able to see 20/20 at all distances (distance, intermediate and near locations) in both eyes, though he had the option of spectacles, contacts or both. He needed the vision to be stable and reliable due to the responsibility of flying. He also wants to put off cataract surgery (unless it is the true cause of visual blur) due to required time off from flying. 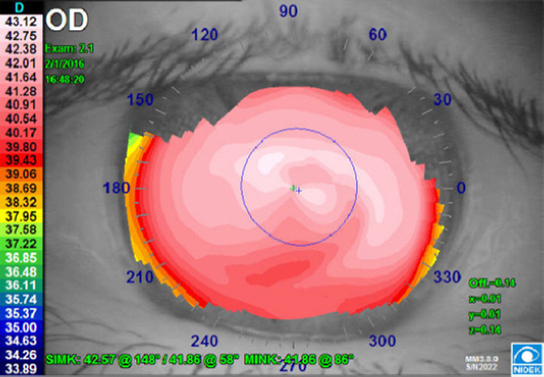 A contact lens over-refraction found that the vision improved significantly with gas permeable contact lenses. 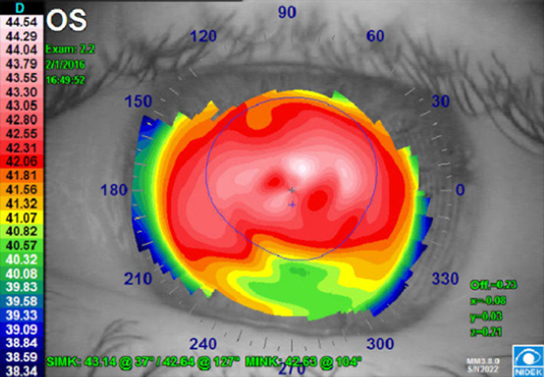 The patient was fit in scleral contact lenses to provide the most stable vision. It would also provide a liquid barrier to the cornea that is evident for epithelial basement membrane dystrophy (EBMD) (see Figure 1). 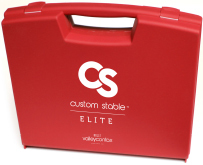 Though he was not yet symptomatic, this would theoretically provide the cornea with less stress through the day with the protection of the cornea from constant friction from the eyelids. EBMD is caused by faulty basement membrane formation of the corneal epithelium and can result in blurred vision, recurrent epithelial erosions, glare; though many patients are asymptomatic. This patient was ecstatic with our plan and final treatment for his eyes. He was able to maintain his current aviation license without undergoing a procedure that was not yet necessary for him. The procedure could have also destabilized his corneas further, leading to more irregularity and decrease in vision. He is now able to wear his lenses comfortable (without feeling like anything is in) for over 15 hours per day.